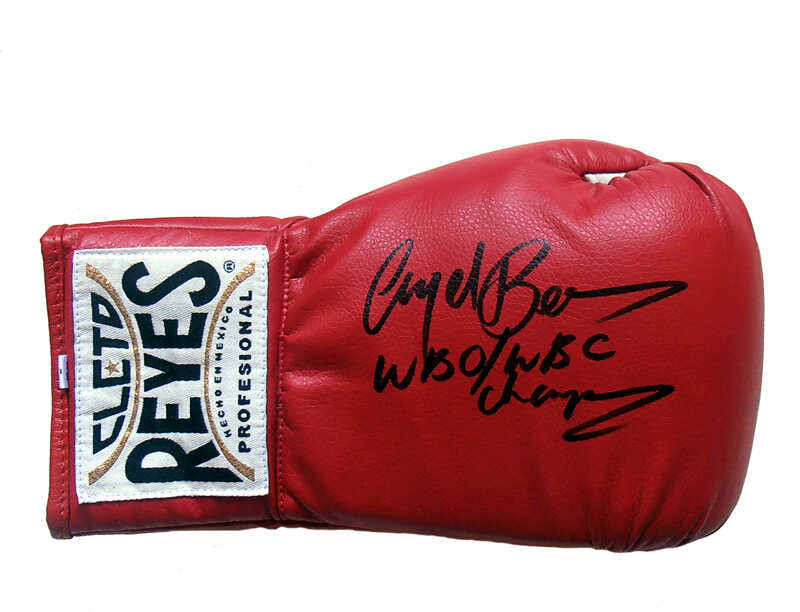 Description : Here we have a superb Reyes (Autograph Glove) signed by British legend Nigel 'The Dark Destroyer' Benn. Nigel has also added WBO & WBC champ to accompany his signiture making this a very special piece & a must have for the discerning collector. 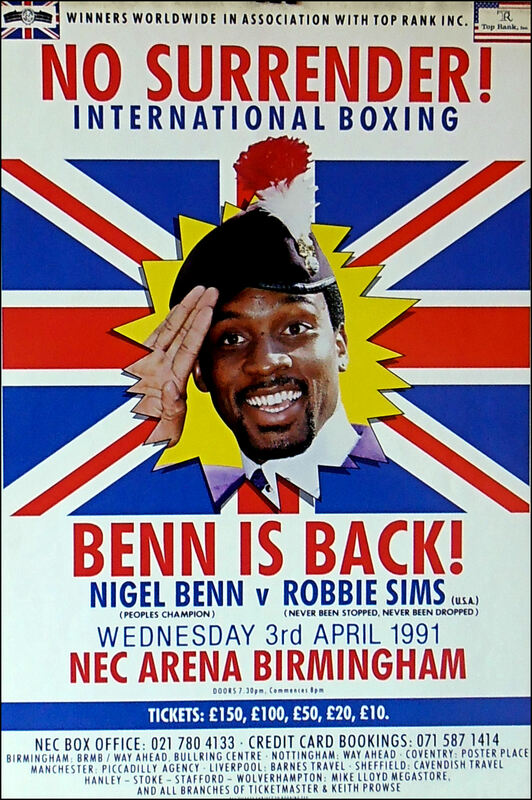 Nigel Gregory Benn known as the "Dark Destroyer" held world titles in the middleweight (WBO) and super-middleweight divisions (WBC). His wars with fellow Britons Michael Watson & Chris Eubank & Americans Doug Dewitt & Iran Barkley are part of British boxing folk law, culminating in the titanic battle with American Gerald McClellan. Benn was also in the British Army, where he served in Germany for three years, then Northern Ireland during the Troubles for 18 months. 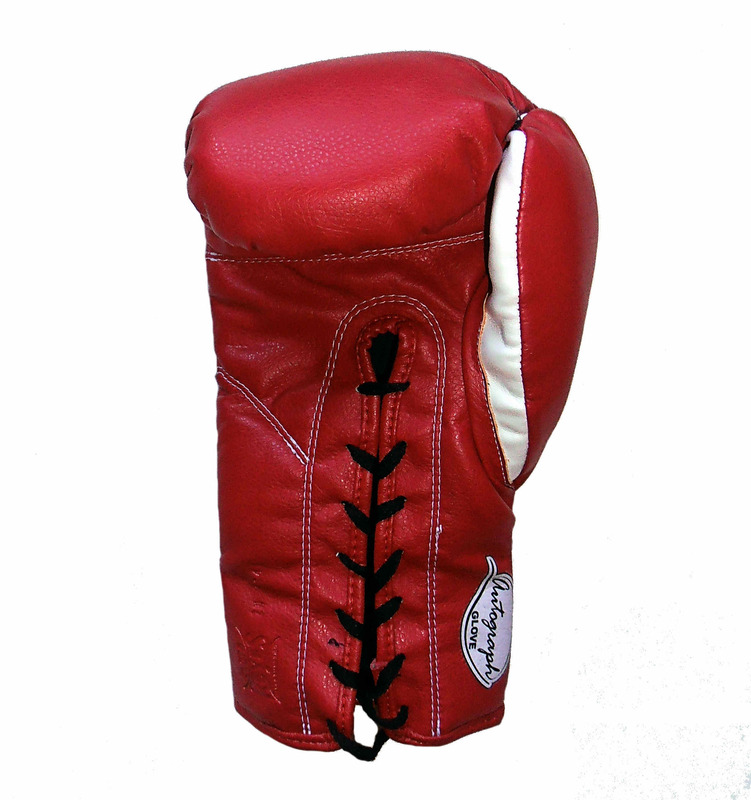 This authentic autographed Nigel Benn glove is accompanied with a lifetime LOA guarantee of authenticity from KOfightposters.